NEW YORK, USA, October 31, 2018 /EINPresswire.com/ -- World-renowned luxury villa rental company Exceptional Villas has announced its further expansion into Europe for the 2019 season with 1,000 new luxurious properties being added to its portfolio. The company is predominantly known for having the most luxurious vacation rentals in the Caribbean however due to increase in demand the luxury travel company has launched villas in top-selling European destinations including Greece, Italy, Switzerland, and its latest offering in Spain. The company has seen significant growth in the last 12 months and predicts further expansion and growth for 2019 with these new destinations on offer to the discerning traveler. 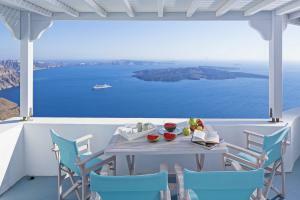 The company also features homes in Greece with Santorini and Mykonos as some of their top-selling locations closely followed by Crete. The company also has a Ski collection in Switzerland featuring only the most luxurious Chalets on the plant. In fact, The World’s Best Ski Chalet, Les Anges in Zermatt is one of the Exceptional Villas most luxurious properties in the Swiss Alps. Spain is a brand-new destination for the company with the exotic islands of Ibiza and Mallorca top of the list. “In response to the increasing demand from our clients, we have found that Mallorca and Ibiza are two destinations in Spain that will feature some of our best villas in Europe.” Says Linda Browne, Sales, and Marketing Executive at Exceptional Villas. Mallorca is one of the most popular destinations in Europe. Exceptional Villas features two incredible luxurious homes located in Mallorca owed by Sir Richard Branson. Ibiza is another of the company’s new destinations. For decades, visitors have flocked to these sunny shores to enjoy island life. At just over 2 hours by plane from London or a short hop of 1 hour from Madrid, Ibiza is easily accessible and a popular holiday destination. The magical island of Ibiza, part of the Balearic Island group sitting east of mainland Spain, offers lucky visitors many different holiday experiences. If you’re looking for a globally recognized party destination cocooned in the serene Mediterranean, then a holiday in one of Exceptional Villas luxury villas in Ibiza will give you the ultimate bespoke experience. Ibiza also offers its guests incredible villas in some of the quieter coastal towns that are away from the world-famous club scene. No matter what your individual requirements are, there are plenty of luxury options. 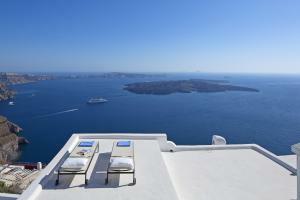 Exceptional Villas is a European based vacation rental company with clients and destinations all over the world. They have been in the travel business for over 25 years and offer a unique bespoke service to their clients. This includes matching the perfect villa for each client and also providing a full and complimentary concierge service. This service includes all aspects of the client’s vacations such as VIP airport arrival, ground transportation, restaurant reservations, tours and excursions, water sports and pre-arrival stocking. Unlike some of their competitors, they do not provide a membership fee. Likewise, their villa experts are indeed experts. They visit every single villa and are filled with a wealth of information regarding each villa, as well as each destination. Exceptional Villas take total pride in the customized service they offer.